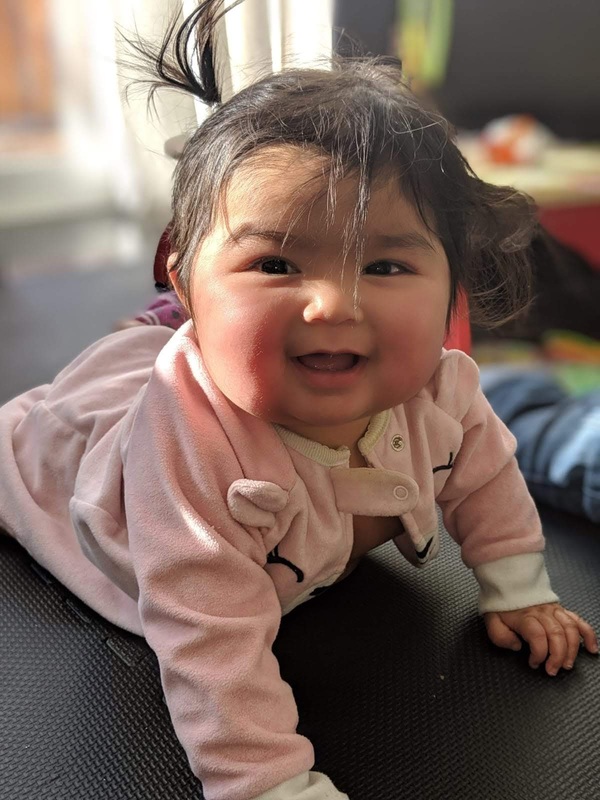 In April, two months after Erin was born, her paediatrician advised her parents, Danesh and Audrey, that she should have testing done to see why she was experiencing prolonged jaundice after birth. When doctors examined Erin they diagnosed her with a rare liver condition called biliary atresia, which means that a baby’s bile duct that leads from the liver to the intestine becomes damaged preventing bile from leaving the liver. Less than a week after Erin was diagnosed, she was taken in for immediate surgery to help alleviate her condition. From then on, the family had weekly checkups with her medical team at Sick Kids so that they could track her progress. In the summertime, Erin’s condition began to deteriorate and she was hospitalized because of her illness and her lack of food consumption. In late September her doctors concluded that an immediate living liver donation would offer Erin the best chance of survival. As brand-new parents trying to care for their sick child and balance their financial needs, both Danesh and Audrey were anxious and stressed. Luckily, Danesh was a confirmed match for Erin and in October both Danesh and Erin underwent successful transplant surgeries with Danesh donating part of his liver to Erin. Erin is doing well post-transplant, and Danesh states that “she is almost back to doing what kids her age would do – babbling away, eating well, developing her motor skills and just being a sweet toddler overall. She continues to take her prescribed medications and we do not know everything the future holds but for now we are extremely grateful for her recovery.” The family is grateful for the support that the Foundation could provide with the additional costs they had associated with the transplant such as gas, parking, and food at the hospital.